As expected, the Jordan Son of Mars has been well-accepted in the market and its popularity is set to get a notch higher with the release of a new colorway of the sneaker. 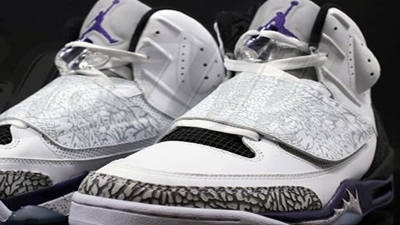 The Jordan Son of Mars has been recently released in a “club purple” edition, which is officially known as the White/Club Purple-Cool Grey-Black colorway of the shoe. The silhouette boasts laser-etched designs and cement prints on the heel area and the toe. Check this one out and you will surely like it!